You would think a state like Nebraska - which is rich in cowboy history - would have lots of places to ride. While we do boast some pretty locations, only 2% of our land is public land and even less allow horse trail riding. Scroll through this section to find places to ride your horse including those areas which allow camping. Visit with the land manager or ranger and tell them how much you appreciate their trails. You will find the map below on Google Maps. 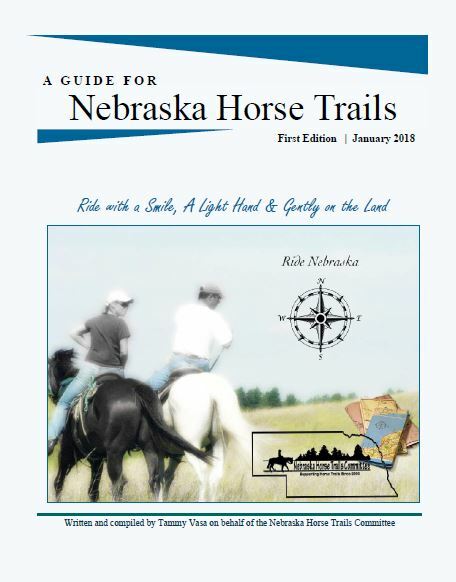 Click on this link - Google Horse Trails in Nebraska - to take you to that interactive map. Click to Download. Large File. Please be patient. This booklet was published in 2018 and information may have changed since the publishing date. Please call before your haul when making travel reservations.